Inland Graphics, (a division of HGI Company) of Menomone Falls, WI recently installed Kluge’s latest platen-based press – EHG Series Half Sheet Press. 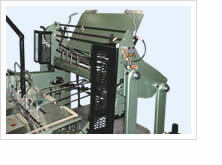 The EHG accommodates a sheet size of up to 22 x 30 for foil stamping embossing and diecutting. Inland Graphics opted to include the EZ Load Magazine feature with their press. The EZ Load magazine takes the strain out of loading stock at the operating height. The magazine can now be lowered by turning a switch. Once the stock is loaded, the magazine can be again raised by turning the switch. 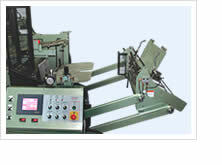 Learn more about the Kluge EHG Series Press and the EZ Load magazine at https://kluge.biz/ehg-series-22-x-30.